Despite the consistent news of an improving financial landscape, there are still millions who are in the process of repairing a damaged credit score. 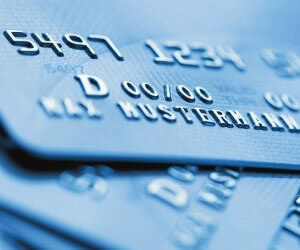 As consumers continue to seek out better alternatives, prepaid debit cards remain a viable option. Wondering how they stack up? This week, we mirror a few of these prepaid alternatives to see just how closely the fees, benefits and perks are on the scale. Take a look – you might be surprised at what we found. This guaranteed approval debit card is a popular choice, partly due to its lack of activation fees, cash back options and the option of direct deposit – which is also free. Issued by Meta bank, customers don’t have the traditional approval woes; in fact, your employment history isn’t even verified. While there’s no annual fee, there is a monthly service fee that is based on the plan you select. The two plan options are the classic and premium. The former has $4.95 monthly fee while the latter incurs a $9.95 fee each month. Take advantage of the online billing and statement management features and do your part by declining the monthly paper statement – and save $5 each month in the process. This prepaid MasterCard offers more than just a few prepaid card benefits. No interest rates, annual fees or other common charges to drain the bank account, along with the ease in which you can manger your Green Dot, make this a smart choice. Day or night, your Green Dot prepaid card is always there, providing peace of mind. The MasterCard logo still represents the same sophistication as it always has. Looking for a direct deposit feature? This has it. Have your employer deposit your payroll quickly and safely onto your MasterCard. For those who appreciate those convenient CoinStar kiosks, you can have your change quickly moved over to your Green Dot. Be sure to familiarize yourself with the terms and conditions. A $9.95 application fee is deducted from the card account after it’s activated and any time you load funds onto the card, you’re looking at a 4.95 fee as well as a $4.95 maintenance fee. ATM balance inquiries will cost you $1.50 and if your transaction is declined, you’re hit with a .50 fee each time. Cash advances cost $4 and if your card is lost or stolen, your cost is $10 to replace it. Card members receive weekly balance updates via email while the convenient online account management provides for easy account monitoring. The Green Dot MasterCard is issued by Columbus Bank & Trust Company. The iBankup prepaid Visa Card is one of the newer prepaid offers on the market today. You’ll enjoy many of the same conveniences found in a traditional bank account along with bonus cash back points and no annual fee. Approval is guaranteed and is a fine alternative for bank accounts. Plus, it’s also a great resource for the teens in your life, too. Complimentary direct deposit and hundreds of ways to load your card with cash are just a couple of this offer’s many features. You can also use MoneyPak to load your money onto the card. The sign up is so easy and can be completed in just a few minutes. Once you have those bases covered, you immediately begin earning bonus cash back points. Surprised to learn there’s a prepaid card for business owners? There is and this is one of just a few prepaid business debit card offers. One of the first features you’re sure to notice is the two month free trial. This gives you two billing cycles in your business structure to see if this offer meets your needs. You can easily (and at no additional cost) move money to the PEX Visa (and you may have multiple cards on the same account) for expenses or unanticipated costs while traveling. No APR fees to worry with either. Along with instant funds disbursement to employee cards, you maintain around the clock control over your account -whether you have one card of 50. You can really hone in on approved expenditures with spend categories and/or daily limits. Easily break down the activity on each card, block, remove or add funds to any of those cards, too. with no preset spending limits and because of the prepaid nature of this offer, you’re bound to save money every month – which equates to an impressive bottom line at the end of the year. So are prepaid debit cards a viable solution for your needs? While there are those who have little need for these offers, there are still millions of Americans who are recovering from the recent recession – and it’s just what’s needed to bridge those tough times. What’s so good About the YAP MasterCard Prepaid Card? How Does Google Wallet Virtual Card Fare? Is the Financial Crisis Really Behind Us?